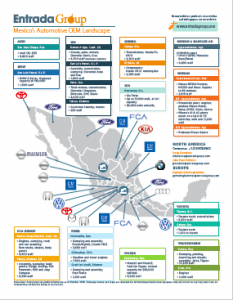 Today, Mexico is the eighth-largest automobile producer in the world. 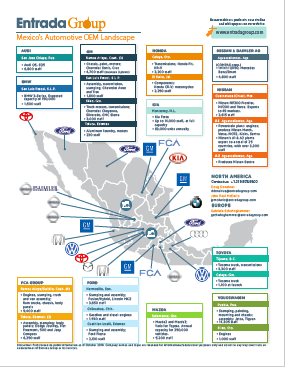 Currently 9 of the 10 major global automotive OEMs have operations in Mexico, presenting an opportunity for foreign suppliers who have a Mexico presence or are willing to establish one. 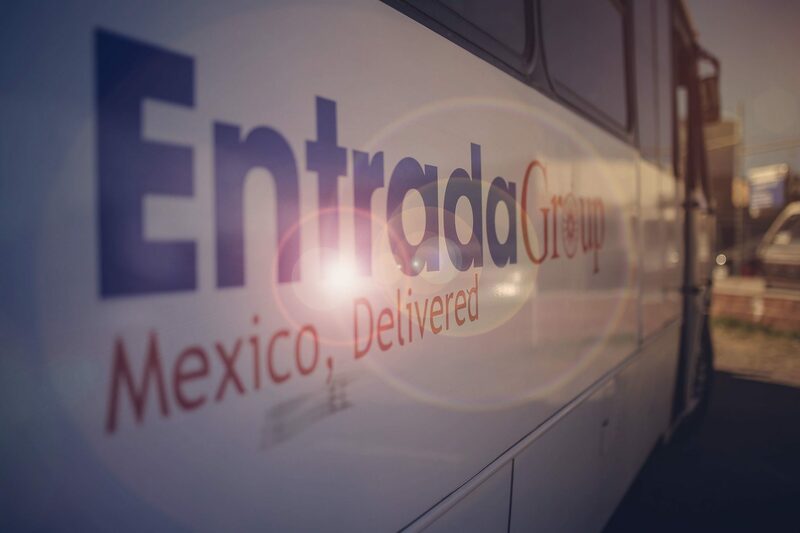 Disclaimer: Company names and logos are intended for informational/educational purposes only and do not in any way constitute an endorsement of Entrada Group or its services.